So. Birth control! Today I had my yearly exam with the lady doctor, and inquired about switching my birth control method. I've been on the pill for about ten years now and while it has been effective, I wondered whether it was the best option for me. I was considering an IUD, but my doctor told me that unless you already have one child, the IUD is not recommended as there is a small chance you can get an infection, resulting in infertility. I am not planning on having children, ever, but I don't want to be infertile, so that kind of dampened my enthusiasm. Then my doctor told me about Implanon. Basically, Implanon is a small tube the size of a matchstick, inserted in your arm, which is 99% effective in preventing pregnancy. It's estrogen free (so good for people with migraines) and - best of all - you have to get it replaced every THREE YEARS. 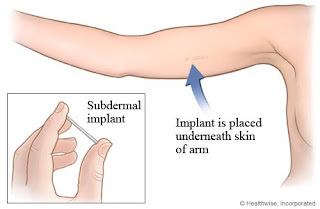 No pill to take, no ring to insert, no regular shots, and the rod is barely noticeable under your skin. Sounds great, right? There is, of course, the usual list of possible side effects, most of which are also applicable to the pill and don't appear to be too terribly common. I did a little researching this afternoon, and most of what I saw were complaints from users who did not have a good experience with Implanon. Now, I know that people tend to vocalize their bad experiences much more than their good ones, so I don't know how slanted these posts and comments are. This is where you, fellow uterus possessors, come in. Do you or have you used Implanon? Do you know anyone who has? Have you considered it? Have you ever even heard about it? Is there a particular form of birth control I'm overlooking, which you're totally in love with? And last, but certainly not least, do you have any horror stories the Internet should know about? 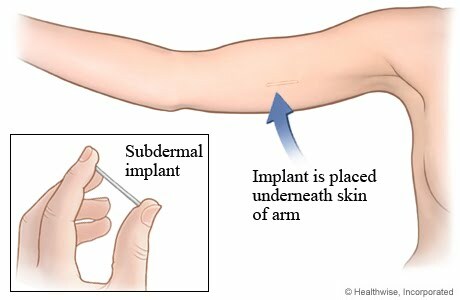 I want some honest feedback from reliable sources before I go implanting something into my arm, so thank you in advance!